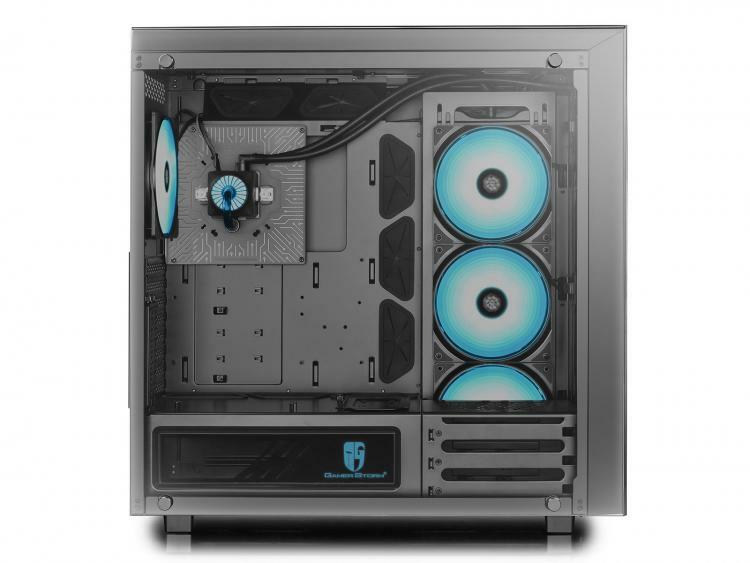 DEEPCOOL expands its line-up of enthusiast-grade cases with the NEW ARK 90 featuring a spacious interior that can support up to an Extended-ATX motherboard form factor and an included 280mm all-in-one liquid cooling unit with the help of the pre-installed CAPTAIN Series Liquid Cooler. It also comes bundled with three 140mm RGB cooling fans that’s vertically installed that dissipates heat to the side of the case and not into the components installed inside. 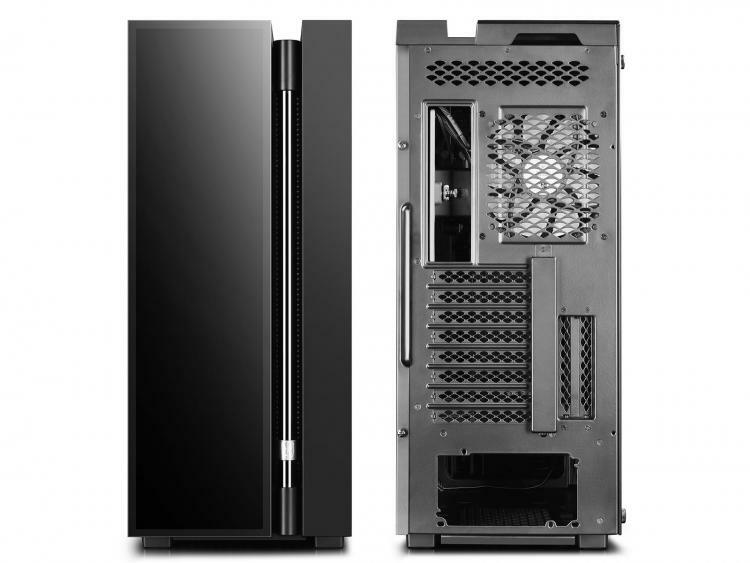 The DEEPCOOL NEW ARK 90 sports four independent cooling slot offering builders options for additional cooling. 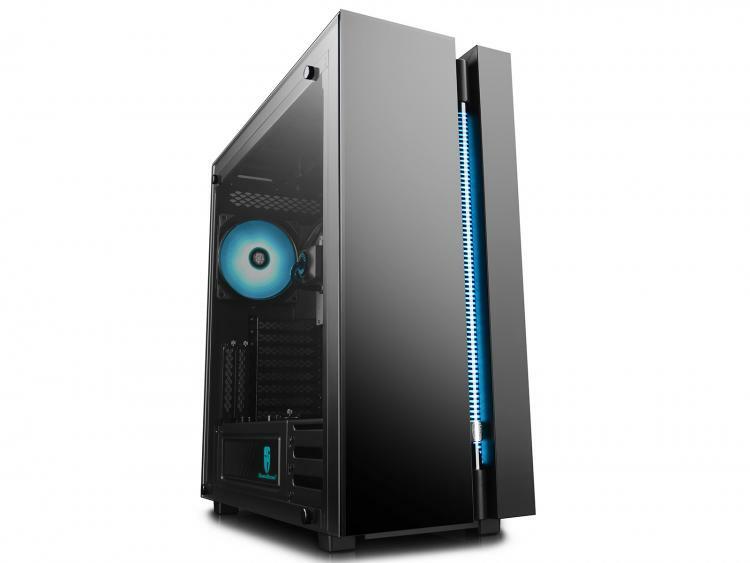 It also comes with a specially designed external transparent water-tube with a flow-rotor on the front panel makes the dynamic flow rate of the coolant clearly visible and can be used with DIY water-cooling systems. The case wouldn’t be complete with its tempered glass sections including the left-side, top and front panels. To complete its aesthetics is an integrated RGB lighting system that will illuminate through the tempered glass panels. A DEEPCOOL GAMER STORM logo is also illuminated on the power supply shroud. - Ultra-wide 230 mm tower compartment with extra clearance (25 mm) for cables delivers extreme cooling performance and ease of installation. 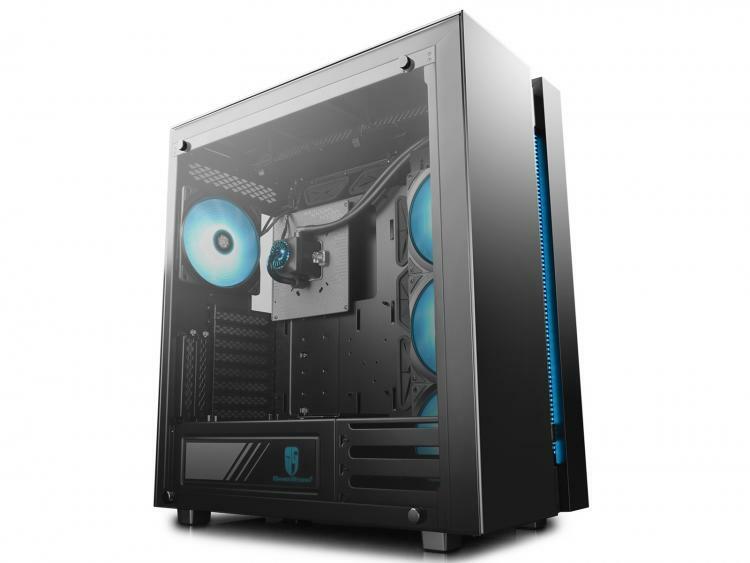 - Specially designed DEEPCOOL CAPTAIN Series Liquid Cooling System with 280mm Radiator & 2pcs 140mm RGB fans vertically installed on the side panel, can reduce the impact on CPU heat dissipation performance caused by the graphics card. - Graphics card can be mounted vertically to provide the perfect showcase for it with the optional connection cable. 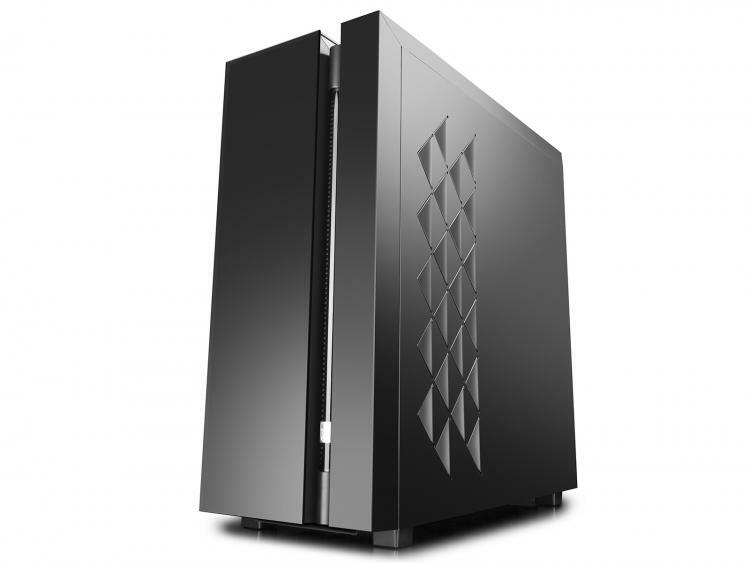 - Tempered glass sections on the top panel, front panel and the whole left side-panel feature the texture of black obsidian. - The brilliant RGB Lighting System, easily controlled by manual buttons, provides an engaging visual experience. The DEEPCOOL NEW ARK 90 will be available on February 2018 with an MSRP of USD$299.99.